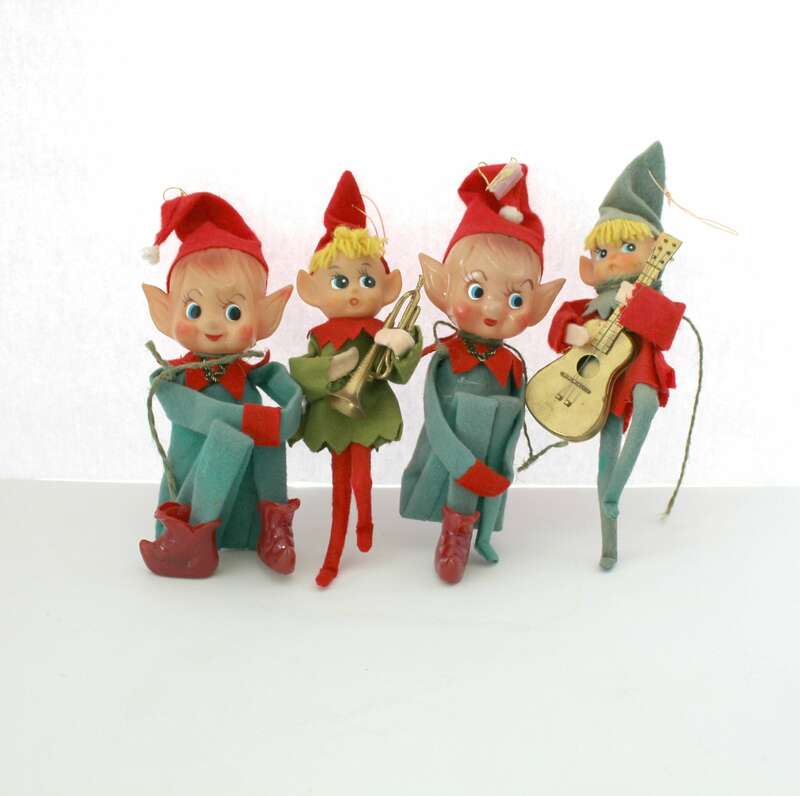 A vintage lot of 4 elves or elf on a shelf Christmas ornaments from about the 1960s. 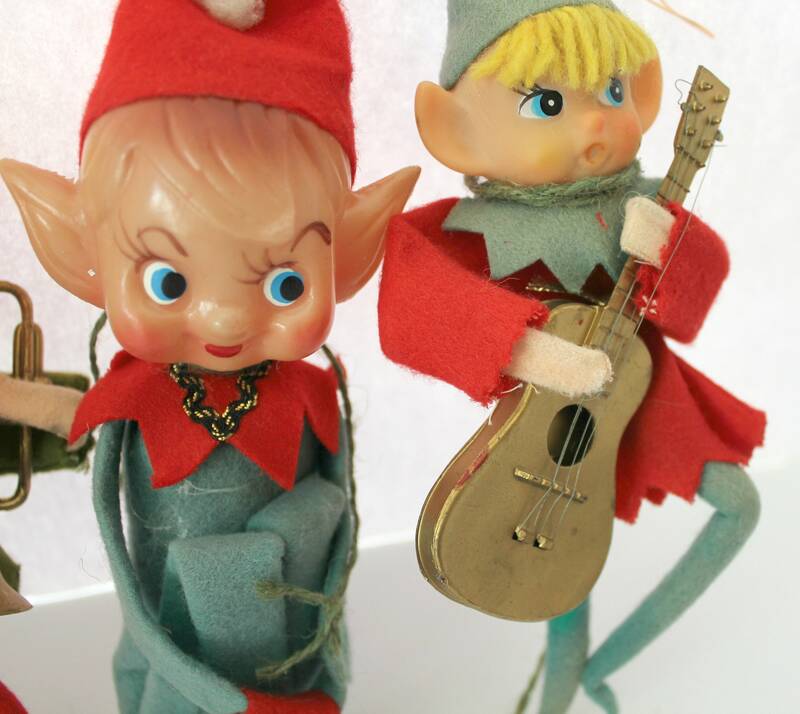 They are made in Japan and measure between 8-9" tall. 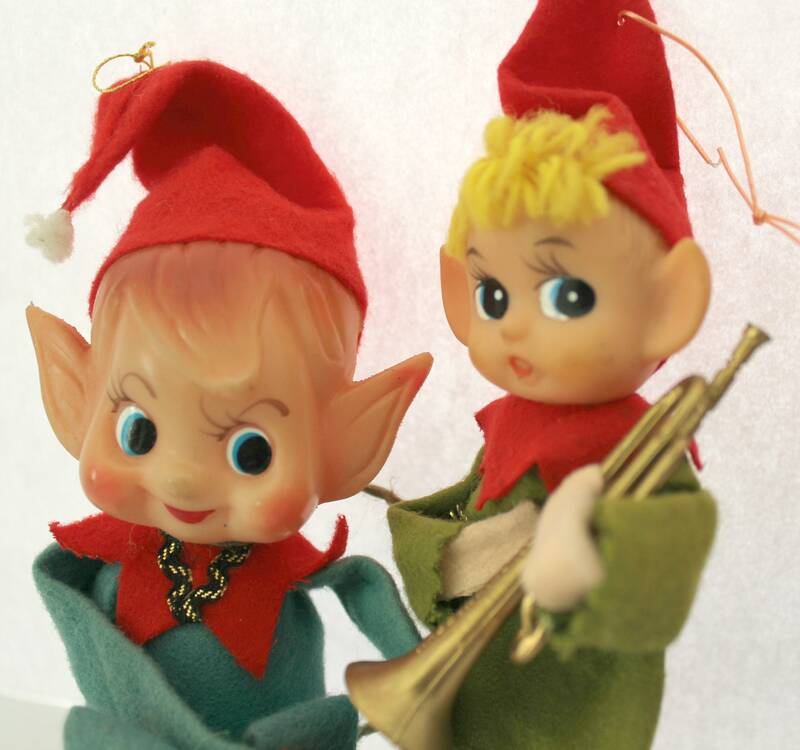 Two of the elves have yellow yarn hair and are holding musical instruments, one a guitar the other a trumpet, and appear to be singing. The small sticker on their backs says "All New Material Japan." Their instruments say "Made in Hong Kong." 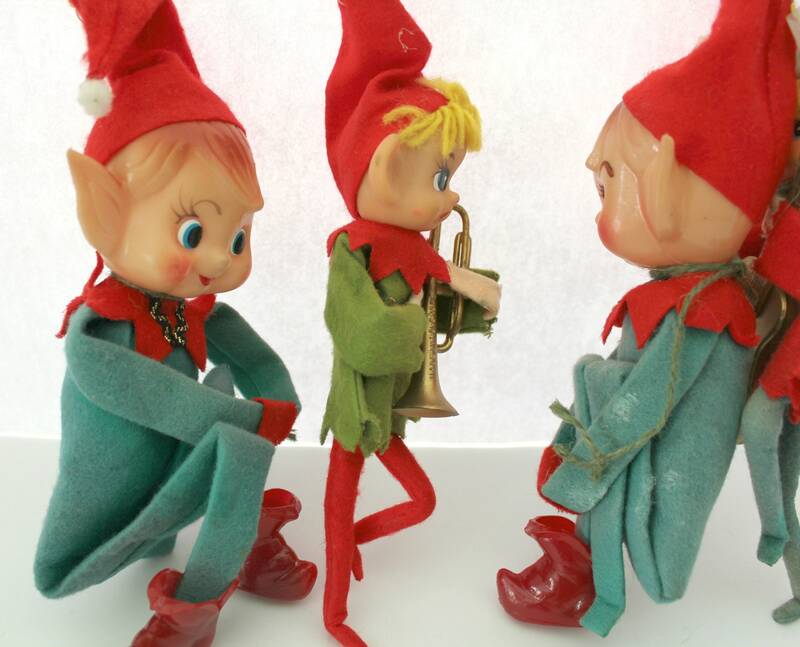 The other two elves have plastic heads and are sitting with their arms around their pulled up legs. 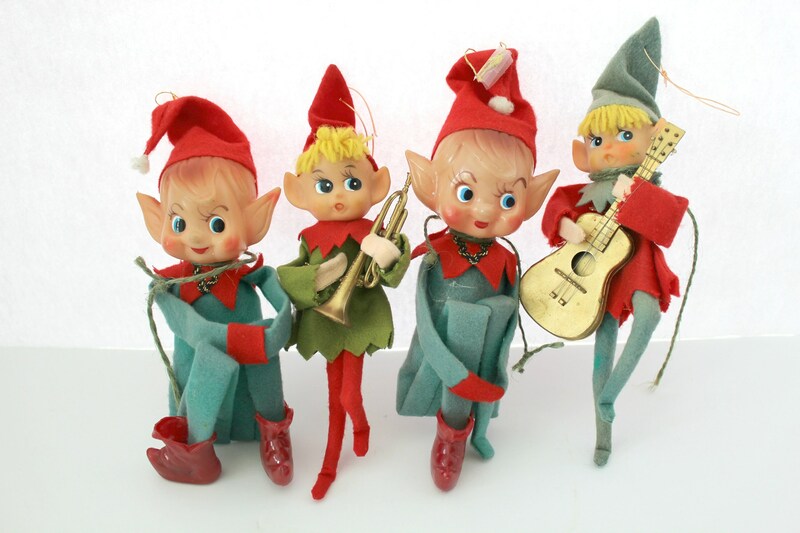 One is missing a red boot. 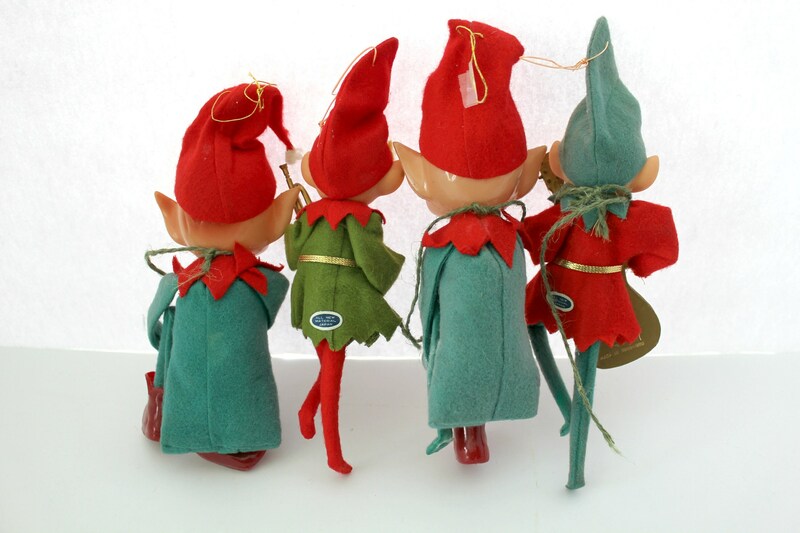 All 4 elves have some at least small signs of age, use and soiling. I've not tried to clean them at all. Please see all the photos for close ups of the most noticeable areas with issues. 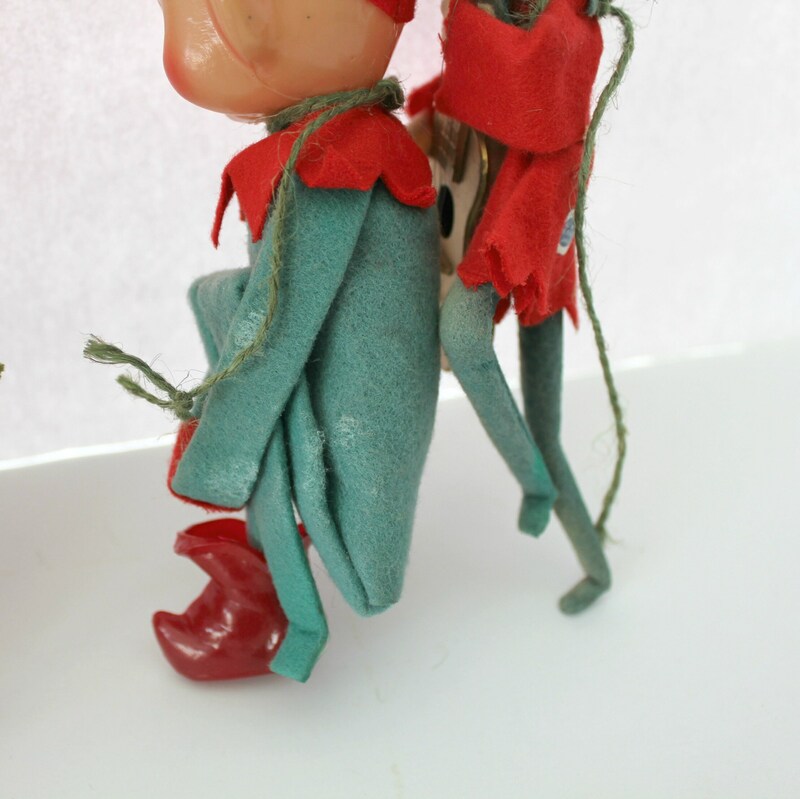 The elf missing his shoe is the one in the worst shape. 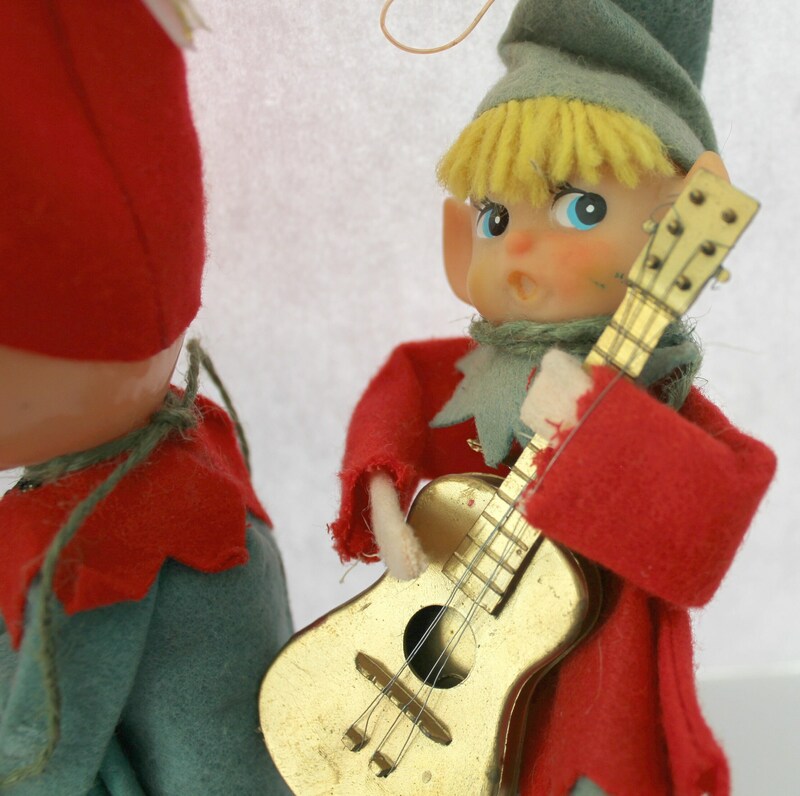 Bookmark my shop for more Christmas vintage to come!